Magnus von Horn was born in 1983 in Göteborg, Sweden. In 2004 he started his studies at the Film Directing Department of the Polish National Film, Television and Theatre School (PWSFTViT) in Lodz, Poland, where he completed the MA studies. He has written and directed several short films including the documentary “Radek” (2006) and the short-fiction “Milk Teeth” (2007) as well as “Echo” (2009) that received numerous international awards and premiered at the 2010 Sundance Film Festival. Magnus’s diploma film, “Without Snow”, premiered at the Locarno Film Festival in 2011 and was nominated for the Swedish Guldbaggen awards for best short film. 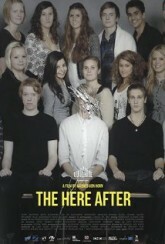 In 2015 Magnus completed his debut feature film, “The Here After“, which had its world premier at the Cannes Film Festival in the Director’s Fortnight section. It was nominated for the Camera D’or and continued to do well at festivals, winning main awards at the Gdynia Film Festival in Poland, the Guldbaggen Awards in Sweden and was nominated for the EFA awards, as well as being sold to several countries all over the world for regular cinema distribution. At the moment Magnus is working on his second feature film, “Sweat”, as well as teaching at the Polish Nation Film School in Lodz.